In this interview with Analytics India Magazine, Seby Kallarakkal talks about Nabler and current trends in Web Analytics. [dropcap style=”2″ size=”3″]AIM[/dropcap]Analytics India Magazine: What according to you are currently the most important and specific Web Analytics needs for the industry? 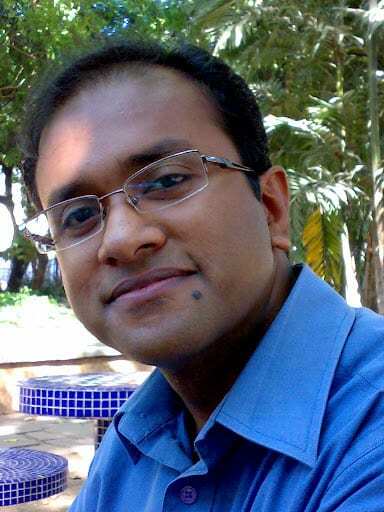 [dropcap style=”2″ size=”3″]SK[/dropcap]Seby Kallarakkal: Need for more actionable insights. It’s easy to collect data but what is needed is to convert these into actionable insights so as to help convert simple numbers into strategic models. Integration of online channels with the offline marketing channels is important so as to get a holistic view of your marketing strategy. Digital needs to be aligned with the offline goals so as to make the most impact. AIM: What according to you is your biggest USP that differentiates Nabler with similar sized players in the analytics space in India? SK: Experience– we have been doing this for 8 years and for hundreds of websites. With each new site, with each new customer, we gain better insights on how to help customers get the best out of their digital marketing data. Technology – we have a strong technology practice and we have been building software tools to meet demands of our analysts and customers. Center of Excellence – We have invested into a team that is constantly looking at creating new frameworks for the kind of analysis we do. That helps us to improve the quality of analytics we deliver. Training – Web analytics is still a nascent industry and there are not too many people available who have the right experience. So we have a formal training program that helps us to scale effectively. SK: Bulk of our business comes from the USA. However, we do have some business coming from India as well. I do believe that there are many organizations in India who are consumers of analytics. But perhaps they prefer to get these things done internally. Analytics also involves fair amount of investment in tools and people. Our experience with the organizations we have interacted with is that we are still in the process of getting there. AIM: How do you see Web Analytics evolving today in the industry as a whole? What are the most important contemporary trends that you see emerging in the Web Analytics space across the globe? SK: One trend for sure is multi channel analysis. In fact, few months back, our industry association used to be called as Web Analytics Association. But now they are known as Digital Analytics Association. This clearly shows the trend where as an industry we are going to deal with more channels and more data sources and not just websites. Another interesting trend is the separation of data collection and the web analytics tools. Traditionally it was one company and one tool that would handle data collection, processing and presentation. But we can now see the trend where these are separated. For example, there are now companies who are providing only tag management solutions, which is the way we collect data for websites. AIM: Do you envisage Web Analytics reaching a level of standardization in near future, where solutions can be deployed on a ‘plug-and-play’ basis without having to deal with complexities and nuances of an industry? SK: Yes, I do believe that we are going to see more standardization in the way data is collected, analyzed and presented. However, this is only true for the channels that have been around for a while like website, search, email, display, etc. They are however, new channels like social media where it will take more time for standardization to kick in. AIM: What are the most significant challenges you face being in the forefront of Web Analytics space? SK: Finding good talent. This field is an upcoming one and therefore there are very few advanced and experienced analysts out there which can help bring something new to the forefront of the industry. AIM: What is your projection of the growth of Web Analytics practice in the future?